Why Should You Consider Discount Cards for Fundraising? If you’ve got a fund-raising event looming, you may be considering having a bake sale to raise funds – or perhaps you are considering selling candy bars or magazines. These are noteworthy pursuits, but there is an easier and more profitable way. 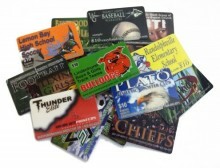 Have you ever considered discount cards for fundraising? you can easily raise the money you need while actually energizing and stimulating growth in your own community! Discount Cards for Fundraising Super Profitable, and Customers Love Them! Discount cards for fundraising offer you an opportunity to gain repeat customers year after year, for every fundraising event you have. Today, people are watching their budgets closer than they have in years, and they do tend to get tired of cookie dough, candy bars and all of the other common fundraising items that have been around for what seems like an eternity. Why not offer something of value that saves people in your community money and makes them feel good about supporting local merchants?